Take advantage of the hotel's 24-hour room service. Mingle with other guests at the complimentary reception, held daily. Wrap up your day with a drink at the bar/lounge. Buffet breakfasts are available daily from 7 AM to 11 AM for a fee. Make yourself at home in one of the 95 air-conditioned rooms featuring minibars and LCD televisions. Complimentary wireless Internet access keeps you connected, and satellite programming is available for your entertainment. Private bathrooms with showers feature complimentary toiletries and bidets. Conveniences include phones, as well as safes and desks. Relax and unwind with massages and body treatments. After enjoying recreational amenities such as a health club and a sauna, a lucky night at the casino is the perfect end to the day. Additional amenities at this hotel include complimentary wireless Internet access, concierge services, and babysitting/childcare (surcharge). Getting to nearby attractions is a breeze with the area shuttle (surcharge). Take advantage of the hotel's room service (during limited hours). Continental breakfasts are available daily from 7:00 AM to 9:30 AM for a fee. At Hotel Al Fogher, enjoy a satisfying meal at the restaurant. Wrap up your day with a drink at the bar/lounge. Buffet breakfasts are available daily from 7:00 AM to 10:00 AM for a fee. Satisfy your appetite at the hotel's coffee shop/café, or stay in and take advantage of the room service (during limited hours). Quench your thirst with your favorite drink at the bar/lounge. Buffet breakfasts are available daily from 7:00 AM to 10:00 AM for a fee. 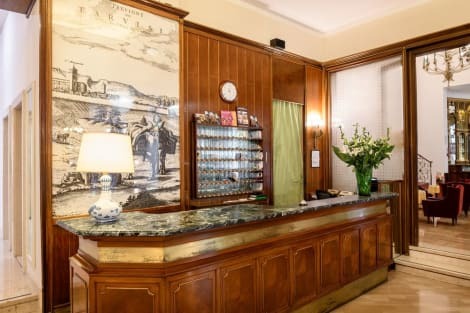 Located in a quiet neighbourhood, one kilometre from Treviso's medieval walls, Hotel Ca' Del Galletto offers free parking, free bike rental, and a large garden with swimming pool. 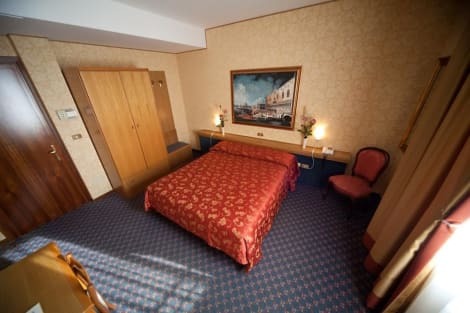 Rooms at Ca' Del Galletto are spacious and air conditioned. Each room has free Wi-Fi and satellite TV. A sweet and savoury buffet breakfast is available each morning. The hotel recommends a local restaurant for dinner, a member of Treviso's restaurant association. At Ca' Del Galletto Hotel, you will also find a fitness centre and sauna. The swimming pool is open from June until mid September. The rugby stadium in Monigo is 1.5 km away, while Treviso Station is easily reached in 10 minutes by bus 55, which stops near the hotel. Canova Airport is 5 km away. Located in Treviso, Antica Dimora Stucky is connected to a shopping center, a 1-minute drive from Natural Park of the River Sile and 8 minutes from Salici Golf Club. This bed & breakfast is 17.2 mi (27.7 km) from Forte Bazzera and 2.2 mi (3.6 km) from Church of San Nicolo. 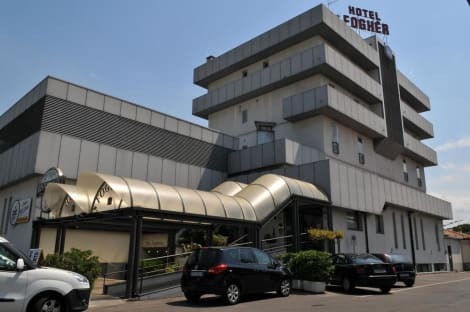 Hotel Rovere The Hotel Rovere (rated 3x000D star) is a small hotel in Treviso. Both on and off site car parking is available at the hotel. Dining is available at the hotel, which has it's own restaurant. Rooms at the Hotel Rovere. There is a no smoking policy throughout the hotel. Wifi internet access is available in all rooms. All rooms feature a stocked minibar. Other Info. The hotel offers an airport shuttle service. Pets are most welcome at the hotel. A concierge service is provided for guests. lastminute.com has a fantastic range of hotels in Treviso, with everything from cheap hotels to luxurious five star accommodation available. We like to live up to our last minute name so remember you can book any one of our excellent Treviso hotels up until midnight and stay the same night.